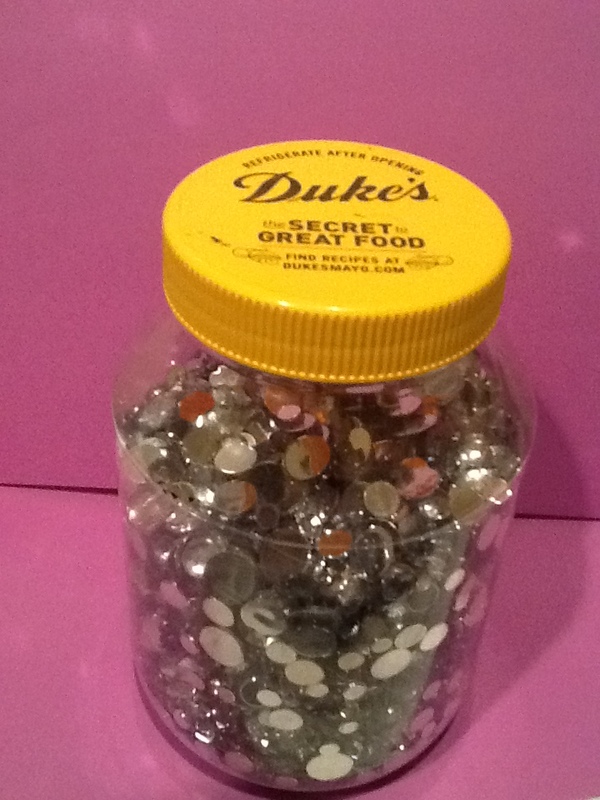 Mayo Jar full of Jewels – Well, aren't you something? It sounds like it should be a metaphor for something, but in reality it’s just my favorite craft supply. Me and my mayo jar of jewels, making our way through life.